NOTE: This is an excerpt from Chapter 6 of my new book Likeonomics all about Unselfishness, the 3rd principle of Likeonomics. I hope you enjoy it! If that seems like an extraordinary thing for a CEO to do, it’s not all that makes Sinegal and the members-only warehouse retailer Costco unique. Costco has a rule that no branded items can be marked up more than 14 percent and no private-label brand item more than 15 percent. In contrast, some of their competitors markup as much as 50 percent for products such as fashion items. The policy comes directly from Sinegal’s belief that the path to building a successful company is passing savings directly to customers. He is fanatical about it. As if a CEO taking a pay cut and a limit on profits wasn’t enough, Costco has also built a reputation as one of the most generous employers in the retail sector. Their standard employee salary of $17 per hour is more than two times the federally mandated U.S. minimum wage and nearly 50 percent more than their closest rival. In addition, the full health and 401(k) benefits are perks that have helped Costco maintain an extremely low employee turnover and low theft rates (a common issue for other retailers). So far, the philosophy is working. Since its founding in 1983, Costco has grown at about 15 percent every year with $88.9 billion in revenue for 2010. They are the biggest seller in the United States of fine wines and the average Costco store generates nearly double the revenue of an average store from their closest competitor, Sam’s Club. It is an impressive result for a company described by the media as the “Anti-Wal-Mart,” as they refuse to charge their customers more or shave the benefits and salary of their employees. 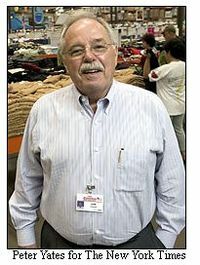 Yet, as Sinegal (who is retiring in 2012) is painfully aware, Costco seems to stand alone in their unselfish behavior. 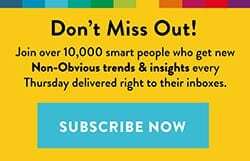 Why don’t more companies adopt this approach to business if it works so well? One popular argument why they don’t is the view that businesses (and people by extension) are inherently selfish. 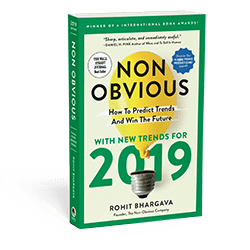 There is a wide body of research and thinking to support the argument that at a basic level, people always focus on themselves first thanks to the natural human instinct for self-preservation. What about the Selfish Gene? 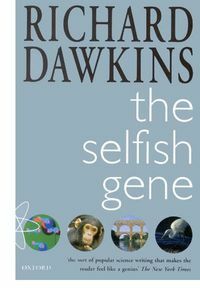 In 1976, an evolutionary biologist named Richard Dawkins wrote a book called The Selfish Gene. In it, he elaborated on his research that suggested people were genetically predisposed toward a sort of “social Darwinism” in which we each would look out for ourselves first. His theories were centered on looking at people through the lens of a biologist. As a result, his theories predicted that there may be selfish behavior in nature out of necessity, but the alternative was also true. He would go on to write that this idea also explained what you might call “biological altruism”-the instance that explains moments like when bees commit suicide using their stingers to protect the hive. All of these were shades of the theory that author Ayn Rand also popularized by calling “rational egoism” or rational selfishness. Her philosophy was that any action was rational if it maximized one’s self interest. In 1964, she published a book on the topic called The Virtue of Selfishness, where she argued that one’s own happiness should be the highest purpose in life. For decades, this argument persisted. In 2000, Robert D. Putnam delivered what should have been the knockout blow in favor of the selfishness argument. 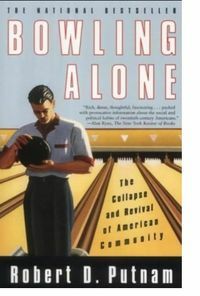 His book Bowling Alone profiled what he called the collapse of community, where large groups of people “began to join less, trust less, give less, vote less, and schmooze less.” The cover of his book featured the powerful image of a man bowling alone, a sport that Putnam noted only five years earlier was usually done with others and seen as a social activity. ut it was one of several factors that started to expose that perhaps we aren’t quite as selfish as some thinkers and scientists have made us out to be. The first time I read Wikinomics by Don Tapscott and Anthony D. Williams, I expected the opening story might be about the rise of Wikipedia. 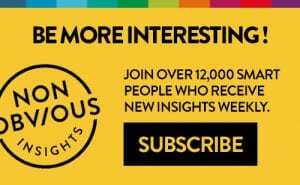 On any level, it is the most significant global example of the power of unselfish collaboration, with millions of editors and over 4 million content pages created without any financial compensation. Instead, they told the story of Goldcorp, a traditional gold mining business that realized great success in March of 2000 by issuing their “GoldCorp Challenge,” where prize money was offered to anyone who could help GoldCorp calculate the best places to dig for gold in one of their mines. As Tapscott and Williams went on to conclude, the Internet has allowed some of the most fruitful collaborations in modern history, even more significant than digging up lots of gold. From scientists working together to map the human genome to new open source programming platforms like Linux-the positive examples of unselfish collaboration are all around us. The power of mass collaboration goes far beyond just Wikipedia. In some cases, like the GoldCorp Challenge, people may contribute for the promise of a reward. But in many cases, they are simply sharing their expertise and passion online because they want to be a part of something. This excerpt is from Chapter 6 of Likeonomics, all about Unselfishness – the third of the TRUST principle that I lay out in the book. For a longer excerpt, please visit the book website at www.likeonomics.com/excerpt – and if you enjoyed the reading this, please consider buying Likeonomics today!